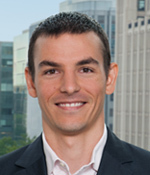 Prior to joining NGP ETP, Eric was an Associate in the Diversified Industrials Group at P&M Corporate Finance, an investment banking firm in Chicago, where he advised corporations and private equity firms in identifying, analyzing and executing acquisitions across a variety of industrial sectors. Eric began his career as an Analyst in Merrill Lynch’s Commercial Lending Group. Eric holds a BBA in Finance from the University of Notre Dame and is a CFA Charterholder. Eric is a former board member of Penn Power Group.